The S.T.A.L.K.E.R series began in 2007 with the release of S.T.A.L.K.E.R: Shadow of Chernobyl, but why is it still played today? The simple answer is mods, but that doesn’t explain why the S.T.A.L.K.E.R community remains so devoted to the series. The best way to understand how the series was revived a decade after release is to understand what made the PC’s biggest sleeper hit so special. Developed by Ukrainian developers GSC Game World, the series was a critical success, praised for it’s technological innovations and rich open world. 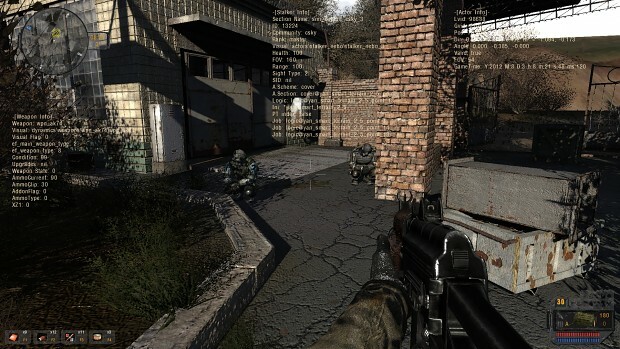 The first game in the series, released in 2007, was one of the first games to fuse first person shooting with an open world. As a precursor to Bethesda’s Fallout 3, the game was universally praised as a technical achievement, despite being relatively buggy. The vast open terrains encouraged players to explore, but in a second the game will transform into a tight, corridor shooter that is similar to the fast-paced action of Halo or Call of Duty. Graphically, the game was ahead of its time. However, the one singular feature that cemented Stalker: Shadow of Chernobyl in the PC community’s collective memories is the atmosphere. 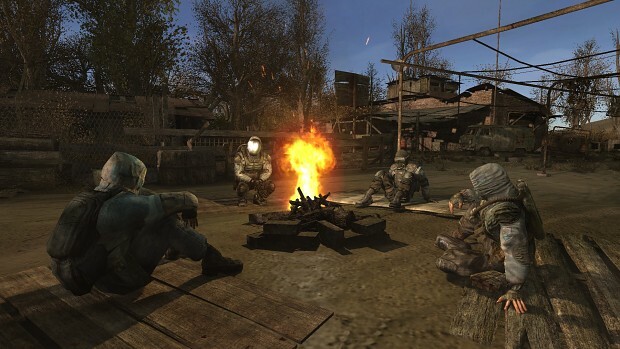 Through a combination of the narrative, locations, factions, characters and mysteries of the world, Stalker immerses players in it’s atmospheric world. As “The Marked One”, players have amnesia and the sole task to “Kill Sterlok”. From here the player discovers ‘the Zone’, an apocalyptic area surrounding Chernobyl after a second, and more destructive, explosion. Combining elements of horror, every area in the Zone tells a sad tale of survival and fear. Without giving anything away, the player will uncover the mysteries of Sterlok, the irradiated Zone and the truth behind the second Chernobyl explosion. This story results in some breathtaking narrative moments and huge scripted sequences. The game had a long and troubled development period, which included GSC team members leaving to found 4A Games. The clear and lasting impact of Stalker: SoC’s rich game world can be seen in 4A Games’ first release, Metro 2033. While the prequel, Stalker: Clear Sky, was released in 2008, it is the unnecessary entry in the series. Plagued with bugs, the story isn’t as rich as the first game, while only offering a litle bit of added depth. However, what Clear Sky added would be important to the series’ revival in 2018. Clear Sky introduced the Faction System, although it would not appear in Shadow of Chernobyl’s sequel. In 2009, Stalker: Call of Pripyat was released. This placed players on the other side of Chernobyl and Pripyat compared to the first game. While the mystery of Sterlok and Chernobyl remains the most rich story, Call of Pripyat perfected how the series tells its stories. While improving on the gunplay, side-quests and the anomaly system, Call of Pripyat also introduced a narrative in every location. This wasn’t in the written story like in Shadow of Chernobyl. 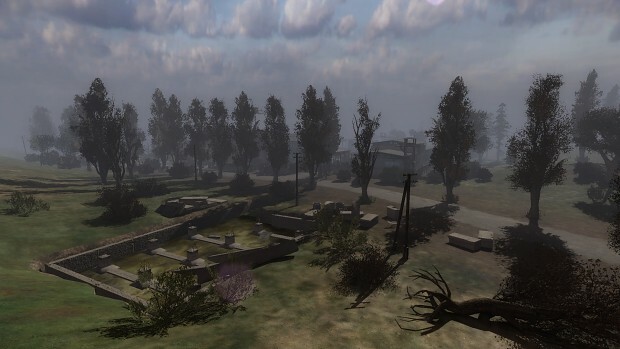 Call of Pripyat gave each location a narrative through design alone. This results in a game that takes the grim apocalyptic atmosphere of the first game and embeds it in the very walls of its locations. As a result, the areas in Call of Pripyat are calling for players to explore them and uncover their valuable secrets. The outstanding graphics of Stalker: Call of Pripyat are still being kept up to date through texture and lighting mods. Source: Gamespot forum user hd5870corei7. With Shadow of Chernobyl introducing a rich and mysterious world, Call of Pripyat introducing organic narratives in exploration, and Clear Sky introducing a faction system, all three games introduced innovative concepts that compliment each other. The only problem is that they are across three games. While the Stalker modding community is one of the more active communities, it was Team Epic’s Call of Chernobyl mod that gave the series a life. Where other mods looked to improve the bugs and graphical dating of the now old series, this mod sought to give players a brand new experience. This was achieved by combining all three games into one sandbox. Call of Chernobyl combines the locations from all three games maps, giving players access to the entire Chernobyl Exclusion Zone. With Shadow of Chernobyl’s big scripted narrative moments, Clear Sky’s faction system, and Call of Pripyat’s explorable locations, this standalone fanmade mod creates a sandbox game. Players pick a faction, whether a loner like the Marked One, a member of the Clear Sky, or even the enigmatic antagonists, The Monolith, players are dropped into the world where they want. The overwhelming immersive atmosphere of the series is in full effect when players are dropped into the world from unique perspectives and starting points. Weaving in quest lines, both pre-written and procedurally generated, players have endless reason to move through the Zone. Between Shadow of Chernobyl and Call of Pripyat, players have around 30-40 hours before they see every location and uncover their secrets. They have experienced everything GSC Game World wanted them too. However, the Zone is so immersive that it’s hard to walk away. In Call of Chernobyl, there is no end. The mod exploits the various mechanics and systems in all three games, using their synergy to create an endless sandbox experience. The mod was such a success that the Stalker community returned to the game almost a decade after release. In 2016, Call of Chernobyl was Moddb.com’s mod of the year and is still currently ranked at #4, with more than 3,724,552 visits. Since the mod’s release, not only has the community regained interest in the series, but also the developers. On 15 May 2018, CEO Sergei Grigorovich announced that the previously cancelled S.T.A.L.K.E.R 2 is under development, slated for release in 2021.